Sir Billy Connolly has insisted he does not fear death as he revealed how laughter was helping him cope with Parkinson's disease. The comedian said he viewed old age as an adventure that was preparing him for the "next episode in the spirit world". But he said there was "still time to go yet, places to go, new friends to make, new songs to write and sing and jokes to tell". The 76-year-old was diagnosed with Parkinson's in 2012. Speaking in the Billy Connolly: Made in Scotland documentary to be shown on BBC2 on Friday evening, Sir Billy said his age and his diagnosis with the degenerative brain condition meant he was now "at the wrong end of the telescope of life". The documentary, which was filmed before his 76th birthday, saw the comedy legend in reflective mood as he reminisced about his childhood in Scotland and his subsequent life and career. He said: "My life is slipping away and I can feel it and I should. I'm 75 and I'm a damn sight nearer the end than I am the beginning. Sir Billy recently said his doctor expects him to live until 90 despite his diagnosis with Parkinson's, and has strongly rebuked claims by former TV chat show host Sir Michael Parkinson that his health was failing to such an extent that he was no longer able to recognise close friends. He also told BBC Scotland in October that he has some "shoogly days" but is otherwise "perfectly OK". In the documentary, he said it takes a "certain calm" to deal with the knowledge the condition is never going to go away, and will only get worse in the future. He added: "Sometimes I don't have it. Sometimes I get angry with it, but that doesn't last long. I just collapse in laughter. "I'm very lucky in as much as I made a bit of a mark, and you think well I must have done something right. "And that keeps you company when you're older, the fact that when when you were creative, you created well. It accompanies you. It's a great companion. "You can volunteer to take life seriously, but it is going to get you. You know they're going to win over you. It's harsh. You can either break down and complain about how miserable your life is, or have a go at it and survive. I think that's the basis of it all." 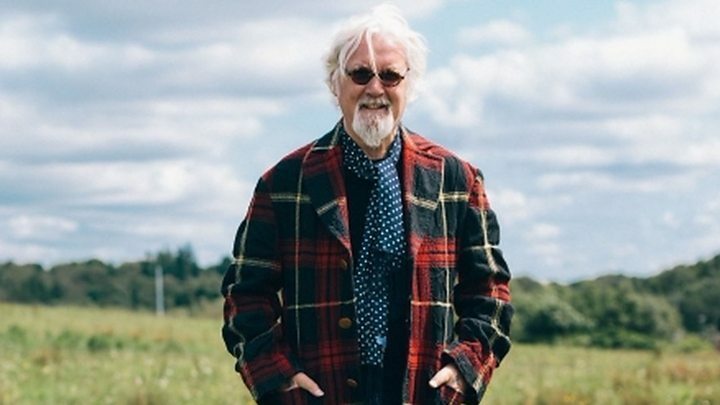 The second and final episode of Billy Connolly: Made in Scotland will be broadcast on BBC2 at 21:00 on Friday 4 January, and will be available on BBC iPlayer.